Drug-Free South will participate in National Night Out Against Crime by distributing the Truth About Drugs booklets. 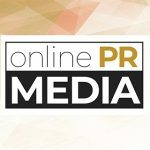 Online PR News – 11-July-2015 – Nashville, TN – In the last month, there have been four hundred drug and alcohol violations and crimes reported by the Nashville police department. In response, the Drug-Free South is ramping up its efforts to promote healthy living and a drug-free way of life. The group will participate in the upcoming events happening on August 4th in neighborhoods across the city for National Night Out Against Crime. The idea behind this “night out” is to stop crime before it starts. National Night Out is designed to heighten awareness; generate support for, and participation in, local anticrime programs; strengthen neighborhood spirit and police-community partnerships; and send a message to criminals letting them know that neighborhoods are organized and fighting back, according to natw.org. This year will mark the 31st annual event held to combat drug use and prevent crime. This is the 6th year that Drug-Free South will participate in the Nashville festivities. Neighborhoods frequently celebrate with a mix of food, dancing, information booths and crime forums to help promote safer living. For more information on National Night Out, visit natw.org. For more information on Drug-Free South or to order materials, visit drugfreesouth.org. Drug-Free South Spreads the Message "Make Health Your New High"